Jazzles Academy | Creative Arts activities helping us all stay young while boosting everyone's brain and memory. Everyday Starts With Music, Movement and Song! Think about the benefits of music and art therapy and you'll easily understand the secret of the Jazzles Academy! What ever your age, we all respond positively to music, particularly if it's upbeat and lively. In a group environment, it's just plain fun, encouraging us to join in and throw away any thoughts of loneliness or isolation. Music frees us from stress and anxiety as well as stimulating us to express our creativity and communicate with each. Where there's music, there's life! We offer a great solution! 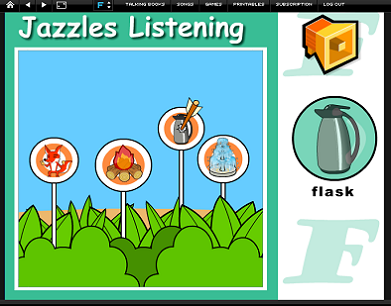 With Jazzles, each animated song provides the theme for days of fun, engaging activities that power discussion (vocabulary development), knowledge (comprehension), movement (small and large motor skills) and creativity (mind stimulation and encouraging self-expression). 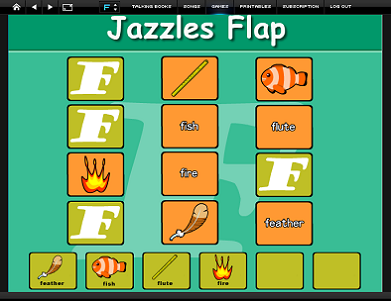 For children, what ever their age, the Jazzles Academy's greatest focus is on using the Arts to develop vocabulary with understanding. Remember, a large number of children involved in the Academy will come from low literacy backgrounds. So just engaging them in themed discussions will be of enormous benefit to them and indeed their parents. Music engages the brain over a period of time. Listening to music sharpens the brain's ability to anticipate events and sustain attention. Anticipation is at the heart of musical experiences. Brainstorm which animated reading song to use for the next few days based on song topic interest. 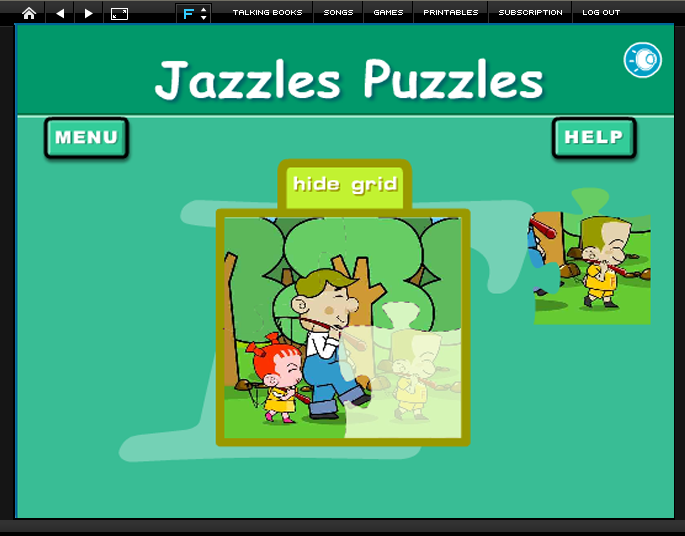 Check out Jazzles Lesson Plans for extra ideas to get the creative thinking going! First day, watch the animated reading song, sing, move, clap/tap to the beat, then discuss the ideas and invent actions to add as you sing. Everyday after, begin with the animated song and/or its karaoke versions. Invent simple dance moves add percussion and sing Karaoke style with created microphones. Repeat as many times as you like! Early in the week, plan a themed excursion or picnic, for one day of the week. Every day, anytime have 'StoryWise' time - sharing stories, music, photos, researching books or the internet and interviewing. During the week, plan and rehearse for 'JazzleOke Friday'. This can take the form of singing, karaoke, drama, dance performances and competitions. Create props, masks, costumes, microphones or percussion instruments for these in 'Creative Time'. Note: These performances can be videoed! 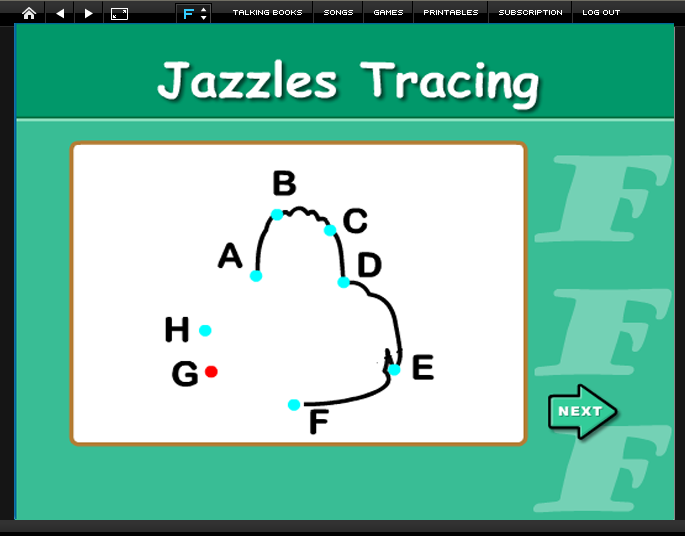 Lots of fun and learning with playback - and you will be able to host them on the Jazzles Academy YouTube site! Everyday, complete one of the printable pages: Read and Color, Craft, Lyrics Bold, Dictionary and Activity. Every day, do some creative, 'hands on' activities in pairs or groups: drawing, painting, craft, designing and making, mixed media, collage, modeling, puzzles, cooking gardening, sewing, knitting, woodwork etc. 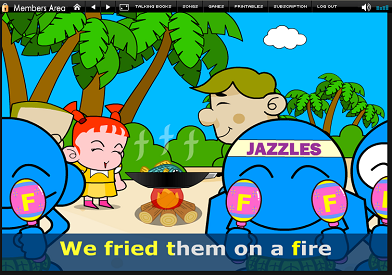 Every week, compose a co-constructed story, recount, information report, poem, recipe, card, letter, poster, shared book with illustrations or a song-related story on Jazzles Storyboard Page. Retirees read books to children and children read to them. By the end of the week, children can try reading the interactive JazzleBook 2 and Jazzles Lyrics Page to the Audio song version. Remember! When you see, hear, laugh, move and sing, you remember everything! The primary resource. Animated reading songs. 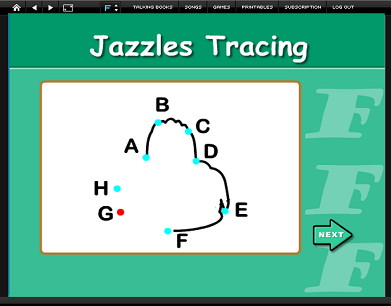 This is where every Jazzles ELA unit starts. 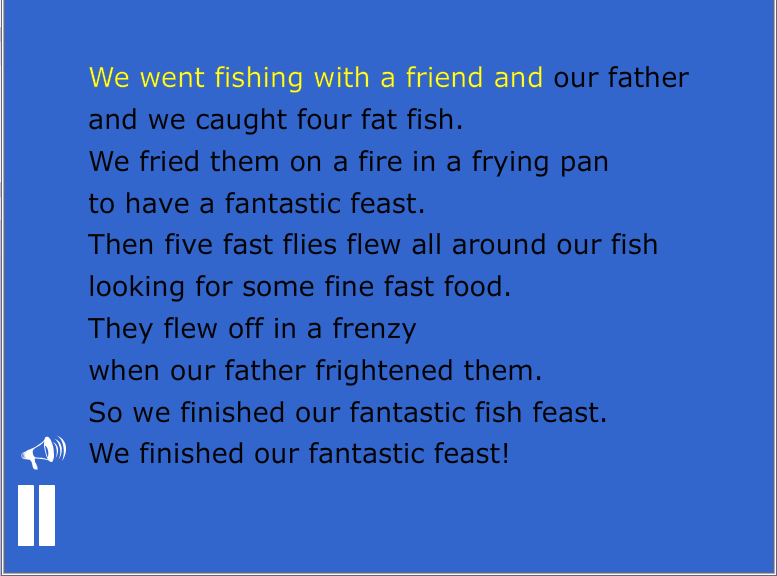 Children sing to learn oral English and simultaneously view the lyric as reading text. The prolifically alliterative 'Matching Captions' enables students to 'take-out' letter-sounds, while familiarizing themselves with words, phrases and meanings. 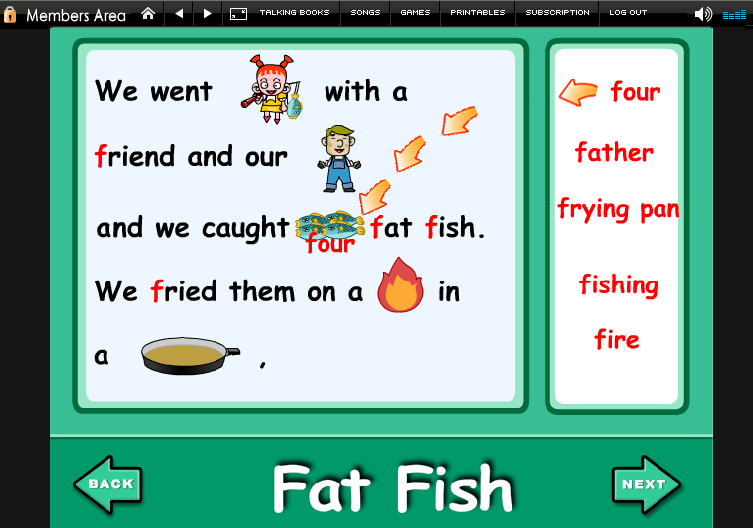 This familiarized oral and reading text becomes the 'Whole' in 'Whole-Part-Whole' learning! 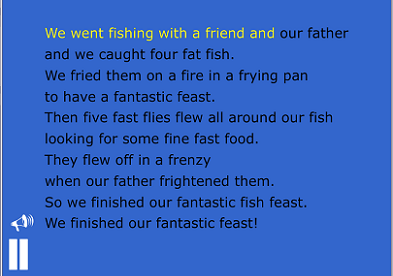 Matching Captions Karaoke - featuring words highlighting to backing music. JazzleOke 2 forms the centerpiece for arts-integrated 'JazzleOke Friday', with children making props, backdrops, supporting roles and video directing in front of an audience! 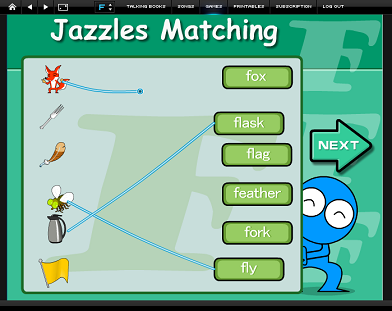 With the musical JazzleOke 3 format, the lyrics are formatted as whole text - further developing children's CAP skills starting from the top left, tracking left -to-right and Return Sweep as well as role of punctuation and sentence structure. This drag and drop game takes the 'drill and kill' out of learning rapid word recognition skills! 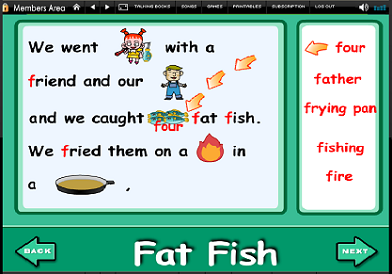 It develops children's skills at word-picture associations including association between images in the Animated reading songs with nouns, verbs and adjectives in the Matching Captions. 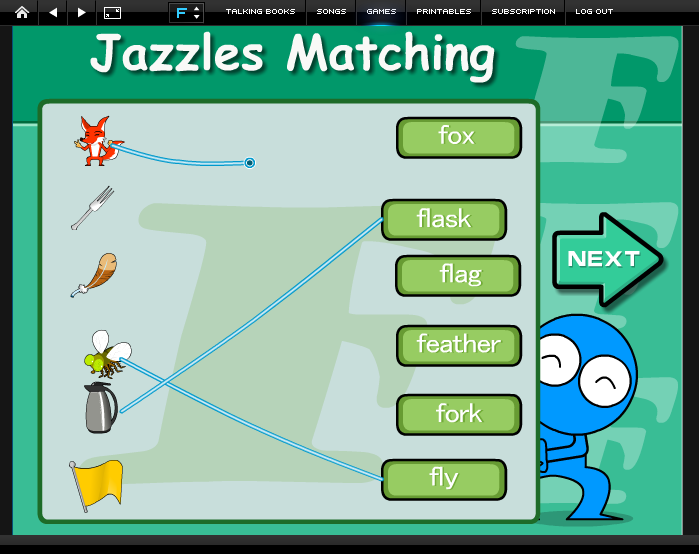 With Jazzles ELA, it's is simple for children to confidently transition to reading printed texts. 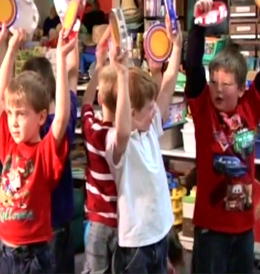 With the relevant song playing in the background that creates the recall for reading fluency, children happily sing along, using one-to one correspondence to follow the words while moving to the beat. 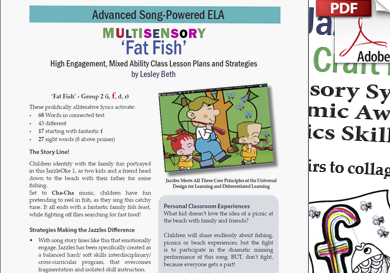 Each unit comes with an easy to follow, advanced ELA Lesson Plan. 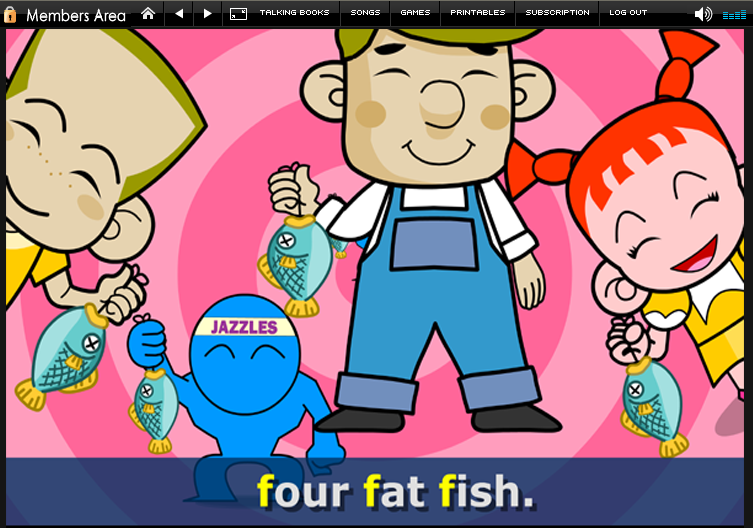 Running to 16 pages, the lesson plans are integrated with the themes explored in each JazzleOke 1 animated reading song. Lesson Plans include pedagogy notes and how to use the resources to develop oral language, comprehension and communication. Creative ideas stimulating children's sensory systems to develop phonemic awareness, phonics skills and writing. There are themed suggestions for extensions and integrating performing arts to support creativity, vocabulary, comprehension, oral language, public speaking, confidence and self-esteem. Each song themed unit includes 10 pages of activity pages for IWB display and printing to collate into student folders, and track learning. 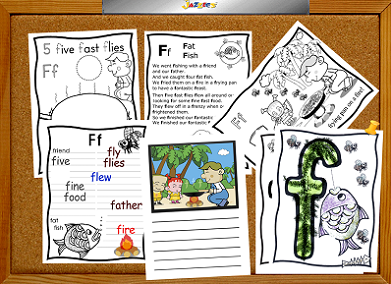 The resources include a letter-naming focused lyrics page, a regular text lyrics page, a read and color page, 'cut, glue, color, write, spell, math' activity page, a dictionary page, a storyboard page for creative writing and an alliterative craft page designed to use the senses to reinforce letter-names, phonemic awareness, vocabulary and creativity. Using the mouse, drag an 'elastic' link from the word to the picture. Correct matches prompt the spoken word, and more 'modeled' pronunciation! Get it wrong and the elastic link springs back! 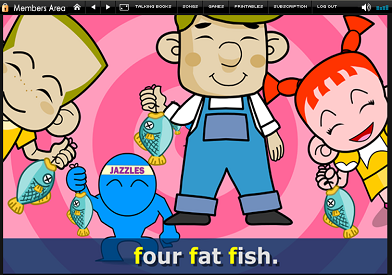 Introduces children to new words with picture associations. Mouse Skills: Develops click, hold down, drag, drop and release skills. 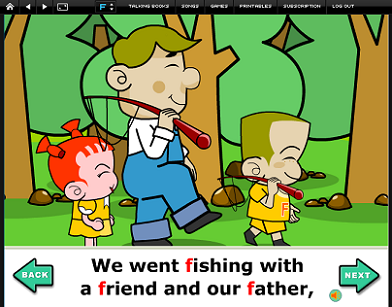 In this 'bulls-eye' game, children listen to a randomly presented word starting with the focus letter (in this case 'f') as 4 image options pop up. Clicking the cursor on an image determines if the choice is correct after which another word is 'broadcast'. Develops listening, oral, Visual and digital skills. This Word/Picture Matching Memory Game develops concentration, listening, observation and initial letter/word/picture associations. Develops spatial memory, listening in conjunction with word to picture associations, modeled reading/pronunciation while introducing many new words. Mouse Skills: Develops click and release skills. Children use their mouse cursor to connect letters in alphabetic sequence. Each 'letter name' and its sound is heard as it is connected and a line in the shape of the end image appears. Correctly connecting the dots results in 'seeing' the object as it is named. Over the series, all the A-Z letters are represented with fun filled repetition. Reinforces recognition of upper-case letters. Jigsaws are important in developing problem solving and spatial skills as well as eye-hand coordination, visual discrimination, and (perhaps more in the physical form), dimension, shape and number. More modeled reading - when each puzzle is completed, the appropriate text for the image is read! Mouse Skills: Develops click, hold down, drag, drop and release skills. Developing digital skills becomes a creative experience as children use their computer skills to access the Jazzles color palettes and resources. 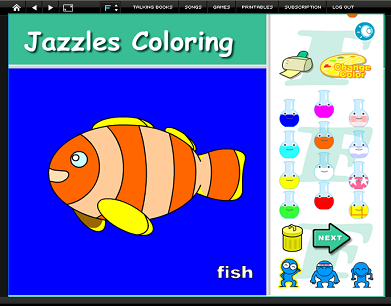 These Jazzles coloring activities, in combination with the palette options, extend children's imagination and creativity as well as developing confidence for decision-making on color combinations! There are three 'coloring' images for each letter.